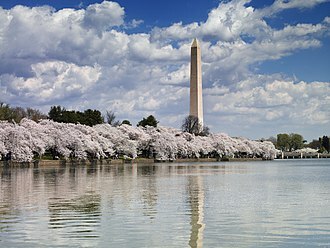 Washington, D.C. has been the federal capital city of the United States since 1802. Each U.S. state has its own capital city, as do many of its insular areas. Historically, most states have not changed their capital city since becoming a state, but the capital cities of their respective preceding colonies, territories, kingdoms, and republics typically changed multiple times. There have also been other governments within the current borders of the United States with their own capitals, such as the Republic of Texas, Native American nations, and other unrecognized governments. The Albany Conference (June 18–July 11, 1754), or "The Conference of Albany", was the first meeting at which representatives of British colonies in North America (seven of them) gathered to discuss questions of common interest. It met in the Stadt Huys, the City Hall of Albany, New York (demolished after a fire in 1836). The original purpose of the Conference was to coordinate relations with the Indians and common defensive measures against the French threat from Canada (see French and Indian War#Albany Conference). At that meeting the major topic of discussion, however, was the Albany Plan, presented by Benjamin Franklin, delegate from Pennsylvania, setting up a unified (though not independent) government for the colonies. Although the delegates approved the plan (after modifications) unanimously, it was not approved by any of the territorial governments, or by the British government. 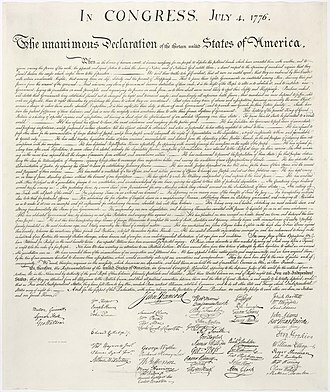 It was used later in the drafting of the Articles of Confederation. The Stamp Act Congress (October 7–25, 1765), or First Congress of the American Colonies, met in City Hall, later named Federal Hall, in New York City. Demolished in 1812. 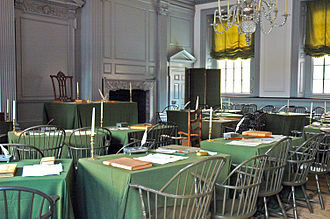 The Continental Congress, later called the First Continental Congress (September 5–October 26, 1774), embryo of what would become the United States government, met in Carpenters' Hall in Philadelphia, Pennsylvania, today (2018) part of Independence National Historical Park. Delegate Joseph Galloway presented the Galloway Plan for a unified government, incorporating some elements of the Albany Plan, but it was not accepted. Henry Fite House, Baltimore, Maryland: December 20, 1776, to February 27, 1777, to avoid capture by British forces. The building was destroyed by fire in 1904. Federal Hall, New York City, New York: January 11, 1785, to October 2, 1788 Demolished in 1812. Federal Hall, New York City, New York: March 4, 1789, to December 5, 1790. This is where George Washington was inaugurated as first President. Demolished in 1812. 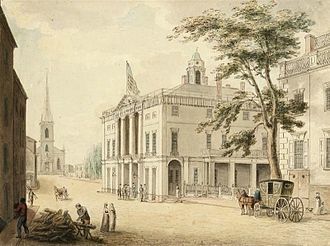 Congress Hall, Philadelphia, Pennsylvania, next to the Pennsylvania State House (Independence Hall) and also part of Independence National Historic Park: December 6, 1790, to May 14, 1800. Built for the purpose of being the U.S. capitol. This is pursuant to the Residence Act of 1790, which designated Philadelphia as U.S. Capital for 10 years. United States Capitol. 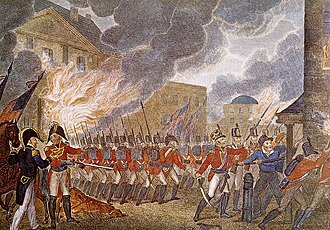 Territory of Columbia: November 17, 1800, to February 27, 1801; District of Columbia: February 27, 1801, to May 2, 1802; Washington, D.C.: May 3, 1802, to August 24, 1814, when the British burned it. Old Brick Capitol, Washington, D.C.: December 8, 1815, to 1819 (while the original Capitol was being rebuilt). Although the name says "old", the cornerstone was laid July 4, 1815. It was financed by Washington real-estate investors who heard rumors that some members of Congress were considering moving the national capital in the aftermath of the burning. Demolished in 1929. 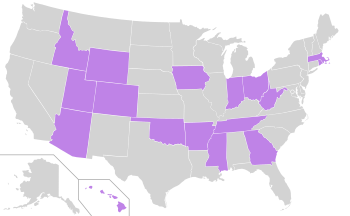 The 17 states (purple) whose capital is also that state's largest city by population, as of 2016 estimates. The dates listed in the following table indicate the year in which the city started to continuously serve as the state's sole capital. Most states have changed their capital city at least once. In the case of the thirteen original states, "statehood" in the table refers to date of ratification of the United States Constitution. Alabama AL 1819 Montgomery 1846 155.4 205,764 374,536 2 102 Birmingham is the state's largest city. Alaska AK 1959 Juneau 1906 2716.7 31,275 3 Largest capital by municipal land area. Arizona AZ 1912 Phoenix 1889 474.9 1,445,632 4,192,887 1 6 Phoenix is the most populous capital city in the United States of America. Colorado CO 1876 Denver 1867 153.4 600,158 2,543,482 1 26 Denver was called Denver City until 1882. Delaware DE 1787 Dover 1777 22.4 36,047 162,310 2 Longest-serving capital in terms of statehood. Georgia GA 1788 Atlanta 1868 131.7 420,003 5,286,728 1 40 Most populous metro area of any state capital. Illinois IL 1818 Springfield 1837 54.0 116,250 210,170 6 221 Springfield was once home to Abraham Lincoln. Louisiana LA 1812 Baton Rouge 1880 76.8 229,493 802,484 2 85 Baton Rouge is located in the state's most populous parish. It is also home to the tallest state capitol building. Maine ME 1820 Augusta 1832 55.4 19,136 117,114 8 Portland is a previous capital. Maryland MD 1788 Annapolis 1694 6.73 38,394 7 Smallest capital by land area. Capitol building is the oldest in the U.S. still in use. Massachusetts MA 1788 Boston 1630 48.4 617,594 4,552,402 1 22 Longest continuously serving capital in the U.S.
Michigan MI 1837 Lansing 1847 35.0 114,297 464,036 5 226 Only state capital that is not also its county seat (not counting the two state capitals that are independent cities and not located in any county). Mississippi MS 1817 Jackson 1821 104.9 173,514 567,122 1 134 Only state capital that shares its status as county seat with another city (Raymond, Mississippi). Nevada NV 1864 Carson City 1861 143.4 55,274 6 One of two independent cities that serves as a state capital. New Jersey NJ 1787 Trenton 1784 7.66 84,913 366,513 10 Served as the U.S. capital for a short period in the late 18th century. New Mexico NM 1912 Santa Fe 1610 37.3 75,764 183,732 4 Longest serving capital in the United States. Highest elevation of any state capital. Ohio OH 1803 Columbus 1816 210.3 879,170 2,078,725 1 14 Columbus is the largest city in Ohio, the second largest city in the Midwest, and the second largest state capital in the United States. Oklahoma OK 1907 Oklahoma City 1910 607.0 579,999 1,252,987 1 31 Shortest serving current state capital. Rhode Island RI 1790 Providence 1900 18.5 178,042 1,600,852 1 130 Also served as the state's capital 1636–1686 and 1689–1776. It was one of five co-capitals 1776–1853, and one of two co-capitals 1853–1900. Texas TX 1845 Austin 1839 251.5 790,390 1,716,291 4 11 Austin is the largest state capital that is not also the state's largest city by population. Vermont VT 1791 Montpelier 1805 10.2 7,855 6 Least populous U.S. state capital. Virginia VA 1788 Richmond 1780 60.1 204,214 1,208,101 4 104 Richmond is one of two independent cities that serves as a state capital. West Virginia WV 1863 Charleston 1885 31.6 51,400 304,214 1 Charleston is the smallest capital city that is still the most populous city in its state. An insular area is a United States territory that is neither a part of one of the fifty states nor a part of the District of Columbia, the nation's federal district. Those insular areas with territorial capitals are listed below. American Samoa AS 1899 Pago Pago 3,656 Pago Pago refers to both a village and a group of villages, one of the group is Fagatogo the official seat of government stated in the territory's constitution since 1967. Guam GU 1898 Hagåtña 1,051 Dededo is the area's largest village. Puerto Rico PR 1898 San Juan 395,326 The city of San Juan was originally called Puerto Rico while the island was called San Juan Bautista. For the purposes of this list, the place the government met, or governing authorities resided, is given as a capital. Many of these "capitals" were never formally designated as such. Lahaina. Served as the capital of the Kingdom of Hawaii, 1820–1845. Served as the capital of the Kingdom of Hawaii, 1803–1812. Served as the capital of the Kingdom of Hawaii, 1845–January 17, 1893. Served as the seat of the Provisional Government of Hawaii after the overthrow of the Kingdom of Hawaii, January 17, 1893 – July 4, 1894. Served as the capital of the Republic of Hawaii when it was established on July 4, 1894 until the Republic was annexed by the United States on July 7, 1898 under the Newlands Resolution to become the Territory of Hawaii. On becoming a state in 1959, Honolulu became the capital of the State of Hawaii. Some Native American tribes, in particular the Five Civilized Tribes, organized their states with constitutions and capitals in Western style. Others, like the Iroquois, had long-standing, pre-Columbian traditions of a 'capitol' longhouse where wampum and council fires were maintained with special status. Since they did business with the U.S. Federal Government, these capitals can be seen as officially recognized in some sense. New Echota, now near Calhoun, Georgia was founded in 1825, realizing the dream and plans of Cherokee Chief Major Ridge. Major Ridge chose the site because of its centrality in the historic Cherokee Nation which spanned parts of Georgia, North Carolina, Tennessee and Alabama, and because it was near the confluence of the Conasauga and Coosawattee rivers. The town's layout was partly inspired by Ridge's many visits to Washington D.C. and to Baltimore, but also invoked traditional themes of the Southeastern ceremonial complex. Complete with the Council House, Supreme Court, Cherokee syllabary printing press, and the houses of several of the Nation's constitutional officers, New Echota served as the capital until 1832 when the state of Georgia outlawed Native American assembly in an attempt to undermine the Nation. Thousands of Cherokee would gather in New Echota for the annual National Councils, camping along the nearby rivers and holding long stomp dances in the park-like woods that were typical of many Southeastern Native American settlements. The Cherokee National council grounds were moved to Red Clay, Tennessee on the Georgia state line in order to evade the Georgia state militia. The log cabins, limestone springs and park-like woods of Red Clay served as the capital until the Cherokee Nation was removed to Indian Territory (Oklahoma) on the Trail of Tears. Tahlequah, in present-day Oklahoma, served as the capital of the original Cherokee Nation after Removal. After the Civil War, a turbulent period for the Nation which was involved in its own civil war resulting from pervasive anger and disagreements over removal from Georgia, the Cherokee Nation built a new National Capitol in Tahlequah out of brick. The building served as the capitol until 1907, when the Dawes Act finally dissolved the Cherokee Nation and Tahlequah became the county seat of Cherokee County, Oklahoma. The Cherokee National government was re-established in 1938 and Tahlequah remains the capital of the modern Cherokee Nation; it is also the capital of the United Keetoowah Band of Cherokee Indians. Approximately four to eight hundred Cherokees escaped removal because they lived on a separated tract, purchased later with the help of Confederate Colonel William Holland Thomas, along the Oconaluftee river deep in the Smoky Mountains of North Carolina. Some Cherokees fleeing the Federal Army sent for the "round up," fled to the remote settlements separated from the rest of the Cherokee Territory in Georgia and North Carolina in order to remain in their homeland. In the 20th century, their descendants organized as the Eastern Band of Cherokee Indians; its capital is at Cherokee, North Carolina, in the tribally-controlled Qualla Boundary. After Removal from their Alabama-Georgia homeland, the Creek national government met near Hot Springs which was then part of their new territory as prescribed in the Treaty of Cusseta. However, the Union forced the Creeks to cede over three million acres (half of their land) of what is now Arkansas, after some Creeks fought with the Confederacy in the American Civil War. Served as the National capital after the American Civil War. It was probably named after Ocmulgee, on the Ocmulgee river in Macon, a principle Coosa and later Creek town built with mounds and functioning as part of the Southeastern ceremonial complex. However, there were other traditional Creek "mother-towns" before removal. The Ocmulgee mounds were ceded illegally in 1821 with the Treaty of Indian Springs. The Iroquois Confederacy or Haudenosaunee, which means "People of the Longhouse," was an alliance between the Five and later Six-Nations of Iroquoian language and culture of upstate New York. These include the Seneca, Cayuga, Onondaga, Oneida, Mohawk, and, after 1722, the Tuscarora Nations. Since the Confederacy's formation around 1450, the Onondaga Nation has held privilege of hosting the Iroquois Grand Council and the status of Keepers of the Fire and the Wampum —which they still do at the official Longhouse on the Onondaga Reservation. Now spread over reservations in New York and Ontario, the Six Nations of the Haudenosaunee preserve this arrangement to this day in what they claim to be the "world's oldest representative democracy." The Seneca Nation republic was founded in 1848 and has two capitals that rotate responsibilities every two years. Jimerson Town was founded in the 1960s following the formation of the Allegheny Reservoir. The Senecas also have an administrative longhouse in Steamburg but do not consider that location to be a capital. Window Rock (Navajo: Tségháhoodzání), Arizona, is a small city that serves as the seat of government and capital of the Navajo Nation (1936–present), the largest territory of a sovereign Native American nation in North America. It lies within the boundaries of the St. Michaels Chapter, adjacent to the Arizona and New Mexico state line. Window Rock hosts the Navajo Nation governmental campus which contains the Navajo Nation Council, Navajo Nation Supreme Court, the offices of the Navajo Nation President and Vice President, and many Navajo government buildings. There have been a handful of nations within the current borders of the United States which were never officially recognized as legally independent sovereign entities; however, these nations did have de facto control over their respective regions during their existence. The current capital of the State of Vermont is Montpelier. The State of Franklin was an autonomous, secessionist United States territory created, not long after the end of the American Revolution, from territory that later was ceded by North Carolina to the federal government. Franklin's territory later became part of the state of Tennessee. Franklin was never officially admitted into the Union of the United States and existed for only four years. The Republic of West Florida was a short-lived republic involving the area known today as Louisiana's Florida Parishes — at the time the westernmost portion of Spanish West Florida. The area was soon seized by the United States under President James Madison and incorporated into the Territory of Orleans. None of the Republic of West Florida was within the boundaries of modern Florida. The Republic of Indian Stream was an unrecognized independent nation within the present state of New Hampshire. Before being annexed by the United States in 1848 (following the Mexican–American War), a small portion of north-central California declared itself the California Republic, in an act of independence from Mexico, in 1846 (see Bear Flag Revolt). The republic only existed a month before it disbanded itself, to join the advancing American army and therefore became part of the United States. The Confederate States of America (C.S.A.) had two capitals during its existence. The first capital was established February 4, 1861, in Montgomery, Alabama, and remained there until it was moved to Richmond, Virginia, on May 29, 1861, after Virginia seceded on May 23. The individual state capitals remained the same in the Confederacy as they had been in the Union (U.S.A.), although as the advancing Union Army used those cities for military districts, some of the Confederate governments were relocated or moved out of state, traveling along with secessionist armies. Most of the original Thirteen Colonies had their capitals occupied or attacked by the British during the American Revolutionary War. State governments operated where and as they could. 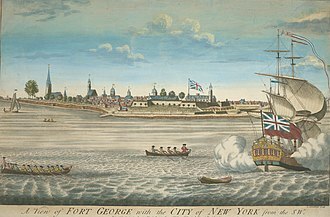 The City of New York was occupied by British troops from 1776 to 1783. A similar situation occurred during the War of 1812, during the American Civil War in many Confederate states, and during the Pueblo Revolt of 1680–1692 in New Mexico. Twenty-two state capitals have been a capital longer than their state has been a state, since they served as the capital of a predecessor territory, colony, or republic. Boston, Massachusetts, has been a capital city since 1630; it is the oldest continuously-running capital in the United States. Santa Fe, New Mexico, is the oldest capital city, having become capital in 1610 and interrupted only by the aforementioned Pueblo Revolt. An even older Spanish city, St. Augustine, Florida, served as a colonial capital from 1565 until about 1820, more than 250 years. The year listed for each capital is the starting date; the ending date is the starting date for the successor unless otherwise indicated. Statehood in 1819 San Agustín 1565 Capital of the Spanish colony of La Florida. Savannah 1733 Capital of the British proprietary Colony of Georgia. 1755 Capital of the British Province of Georgia. 1776 Capitals of the State of Georgia. Natchez (MS) 1798 Capitals of the Mississippi Territory. St. Stephens 1817 Capital of the Alabama Territory. Huntsville 1819 Capitals of the State of Alabama. Montgomery 1846 Capital of the State of Alabama. Sitka 1808 Capital of the Russian colony of Alaska. 1867 Capital of the Department of Alaska. 1900 Capitals of the District of Alaska. 1912 Capital of the Territory of Alaska. 1959 Capital of the State of Alaska. Statehood in 1912 Santa Fe (NM) 1848 Capital of the U.S. provisional government of New Mexico 1848–1850. 1850 Capital of the U.S. Territory of New Mexico 1850–1912. Mesilla (NM) 1862 Capital of the Confederate Territory of Arizona (southern New Mexico and Arizona 1862). San Antonio (TX) 1862 Capital of the government-in-exile of the Confederate Territory of Arizona 1862–1865. Fort Whipple 1864 Capitals of the U.S. Territory of Arizona. 1912 Capital of the State of Arizona. St. Louis 1765 Capital of the Spanish (though predominantly Francophone) district of Alta Louisiana. 1800 Capital of the French district of La Haute-Louisiane. 1805 Capital of the Louisiana Territory. 1812 Capital of the Missouri Territory. Arkansas Post 1819 Capitals of the Arkansaw Territory. 1836 Capital of the State of Arkansas. Statehood in 1850 Loreto (BCS) 1770 Capitals of the Spanish Virreinato de la Nueva España colonies of las Californias. 1804 Capital of the Spanish Virreinato de la Nueva España province of Alta California. 1821 Capital of the Mexican province of Alta California. 1846 Capital of the U.S. military government of California. 1849 Capital of the Provisional Government of California. Statehood in 1876 Denver City 1859 Capitals of the extralegal Territory of Jefferson. Denver City 1861 Capitals of the Territory of Colorado. 1876 Capital of the State of Colorado. Statehood in 1776 Fort Amsterdam (NY) 1625 Capital of the Netherlands colony of New Netherland. Hartford 1639 Capital of the English Colony of Connecticut 1639–1686. New-Haven 1640 Capital of the English Colony of New-Haven until its merger into the Connecticut Colony in 1662. Boston (MA) 1686 Capital of the English Dominion of New-England in America. Hartford 1689 Capital of the English Colony of Connecticut. joint capitals 1701 Hartford and New-Haven served as the "co-capitals" of the English Colony of Connecticut, with the Assembly holding its May session in Hartford and its October session in New-Haven. 1707 Hartford and New-Haven joint capitals of the British Colony of Connecticut. 1776 Hartford and New Haven joint capitals of the State of Connecticut. Hartford 1875 Capital of the State of Connecticut. Statehood in 1776 Fort Kristina 1638 Capital of the Swedish colony of Nya Sverige. 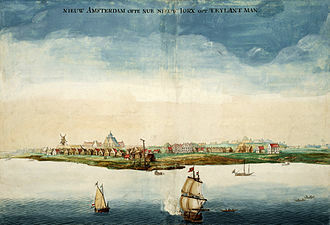 New-York (NY) 1655 Capital of the Dutch province of New Netherland. 1664 Capital of the English Colony of New-York. 1673 Capital of the Dutch military government of New Netherland. 1674 Capital of the English Colony of New-York. Philadelphia (PA) 1682 Capital of the English Colony of Pennsylvania. New Castle 1704 Capital of the English Lower Counties on the Delaware. 1707 Capital of the British Lower Counties on the Delaware. 1776 Capitals of the State of Delaware. Statehood in 1845 Fort de la Caroline 1564 Capital of the French colony of La Caroline 1564–1565. St. Augustine 1565 Capital of the Spanish colony of La Florida 1565–1763. 1763 Capital of the British province of East Florida 1763–1783. 1783 Capital of the Spanish province of Florida Oriental 1783–1821. Pensacola 1763 Capital of the British province of British West Florida 1763–1783. 1783 Capital of the Spanish province of Florida Occidental 1783–1821. Tallahassee 1824 Capital of the Florida Territory. 1845 Capital of the State of Florida. Statehood in 1776 San Agustín 1565 Capital of the Spanish colony of La Florida. Statehood in 1959 Lahaina 1820 Capitals of the Kingdom of Hawaii. 1894 Capital of the Republic of Hawaii. 1898 Capital of the Territory of Hawaii. 1959 Capital of the State of Hawaiʻi. Statehood in 1890 Oregon City (OR) 1843 Capital of the Provisional Government of Oregon in the Oregon Country. Lewiston 1863 Capitals of the Territory of Idaho. 1890 Capital of the State of Idaho. Statehood in 1818 Marietta (OH) 1788 Capital of the Territory Northwest of the River Ohio. Vincennes (IN) 1800 Capital of the Territory of Indiana. Kaskaskia 1809 Capital of the Territory of Illinois. 1818 Capitals of the State of Illinois. Statehood in 1816 Marietta (OH) 1788 Capital of the Territory Northwest of the River Ohio. Vincennes 1800 Capitals of the Territory of Indiana. 1816 Capitals of the State of Indiana. St. Louis (MO) 1765 Capital of the Spanish (though predominantly Francophone) district of Alta Louisiana. 1812 Capital of the Missouri Territory (1812–1821). Detroit (MI) 1834 Capital of the Territory of Michigan. Belmont (WI) 1836 Capitals of the Territory of Wisconsin. 1838 Capitals of the Territory of Iowa. 1846 Capitals of the State of Iowa. Pawnee 1855 Capital of the Kansas Territory (July 2 – July 6). Shawnee Mission 1855 Capital of the Kansas Territory. Lecompton 1856 Capital de jure (pro-slavery) of the Territory of Kansas. Topeka Capital de facto (anti-slavery) of the Territory of Kansas. Minneola 1858 Declared capital by territorial legislature, although this action was later declared void. Topeka 1861 Capital of the State of Kansas. Statehood in 1792 Williamsburg (VA) 1699 Capital of the English Colony of Virginia. 1707 Capital of the British Colony of Virginia. 1776 Capital of the Commonwealth of Virginia. Frankfort 1792 Capital of the Commonwealth of Kentucky. Statehood in 1812 San Agustín 1565 Capital of the Spanish colony of La Florida. La Mobile 1702 Capitals of the French colony of La Louisiane. 1763 Capital of the Spanish district of Baja Louisiana. 1800 Capital of the French district of La Basse-Louisiane. 1804 Capital of the Territory of Orleans. 1812 Capitals of the State of Louisiana. Statehood in 1820 Île Sainte-Croix 1604 Capitals of the French colony of l'Acadie. Boston (MA) 1630 Capital of the English Colony of Massachusetts Bay. 1686 Capital of the English Dominion of New-England in America. 1689 Capital of the dissident Colony of Massachusetts Bay. 1691 Capital of the English Province of Massachusetts Bay. 1707 Capital of the British Province of Massachusetts Bay. 1774 Capital of the dissident Province of Massachusetts Bay. 1776 Capital of the State of Massachusetts Bay. 1780 Capital of the Commonwealth of Massachusetts. Portland 1820 Capital of the State of Maine. 1827 Capital de facto of the State of Maine. Augusta Capital de jure of the State of Maine. 1832 Capital of the State of Maine. Statehood in 1776 St. Mary's City 1634 Capital of the English proprietary Colony of Maryland. 1694 Capital of the English Province of Maryland. 1707 Capital of the British Province of Maryland. 1776 Capital of the State of Maryland. Statehood in 1776 Plimouth 1620 Capital of the English Colony of New-Plimouth 1620–1686. Boston 1630 Capital of the English Colony of Massachusetts Bay 1630–1686. 1686 Capital of the English Dominion of New-England in America 1686–1689. Plimouth 1688 Capital of the dissident Colony of New-Plimouth 1688–1692. Boston 1689 Capital of the dissident Colony of Massachusetts Bay 1689–1692. 1692 Capital of the English Province of Massachusetts Bay. 1837 Capitals of the State of Michigan. St. Louis (MO) 1765 Capital of the Spanish (though predominantly Francophone) district of Alta Louisiana 1765–1800. Saint Paul 1849 Capital of the Territory of Minnesota. 1858 Capital of the State of Minnesota. Statehood in 1817 San Agustín 1565 Capital of the Spanish colony of La Florida. Natchez 1798 Capitals of the Territory of Mississippi. Natchez 1817 Capitals of the State of Mississippi. Saint Charles 1821 Capitals of the State of Missouri. Lewiston (ID) 1863 Capital of the Territory of Idaho. Bannack 1864 Capitals of the Territory of Montana. 1889 Capital of the State of Montana. 1805 Capital of the Territory of Louisiana. 1812 Capital of the Territory of Missouri (1812–1821). Omaha 1854 Capitals of the Territory of Nebraska. 1867 Capital of the State of Nebraska. Statehood in 1864 Fillmore (UT) 1850 Capitals of the Territory of Utah. Carson City 1861 Capital of the Territory of Nevada. 1864 Capital of the State of Nevada. Statehood in 1776 Boston (MA) 1630 Capital of the English Colony of Massachusetts Bay. Portsmouth 1680 Capital of the English Province of New Hampshire. Portsmouth 1689 Capital of the dissident Province of New Hampshire. 1691 Capital of the English Province of New Hampshire. 1698 Capital of the English Province of New Hampshire under jurisdiction of the Royal Governor of the Province of Massachusetts Bay. 1707 Capital of the British Province of New Hampshire under jurisdiction of the Royal Governor of the Province of Massachusetts Bay. 1741 Capital of the British Province of New Hampshire. 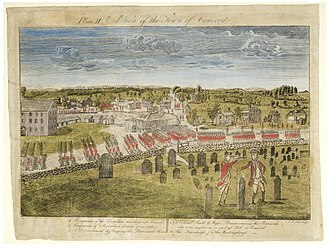 Exeter 1775 Capital of the Revolutionary War government of New Hampshire. 1776 Capitals of the State of New Hampshire. Statehood in 1776 Fort Amsterdam (NY) 1625 Capital of the Dutch colony of New Netherland. 1652 Capital of the Dutch province of New Netherland. Elizabethtown (now Elizabeth) 1665 Capital of the English Province of New Jersey. Perth Amboy 1673 Capital of the English Province of East Jersey 1673–1688. Burlington Capital of the English Province of West Jersey 1673–1688. Boston (MA) 1688 Capital of the English Dominion of New-England in America 1688–1689. Perth Amboy 1689 Capital of the English Province of East Jersey 1689–1702. Burlington Capital of the English Province of West Jersey 1689–1702. joint capitals 1702 East Jersey and West Jersey were re-united as the English Province of New Jersey in 1702. Perth Amboy and Burlington served jointly as the capital until 1784. 1707 Joint capitals of the British Province of New Jersey. 1776 Joint capitals of the State of New Jersey. Trenton 1784 Capital of the State of New Jersey. Statehood in 1912 San Juan de los Caballeros 1598 Capitals of the Spanish Virreinato de la Nueva España colony of Santa Fe de Nuevo México. El Paso del Norte (now Ciudad Juárez CHH) 1680 Capital of the Spanish Virreinato de la Nueva España colony-in-exile of Santa Fe de Nuevo México (Pueblo Revolt 1680–1692). Santa Fe 1692 Capital of the Spanish Virreinato de la Nueva España colony of Santa Fe de Nuevo México. 1821 Capital of the Mexican province of Santa Fe de Nuevo México. 1824 Capital of the Mexican territory of Santa Fe de Nuevo México. 1846 Capital of the U.S. military government of New Mexico 1846. 1846 Capital of the U.S. provisional government of New Mexico 1846–1850. Mesilla 1862 Capital of the Confederate Territory of Arizona (southern New Mexico and Arizona 1862). Santa Fe 1912 Capital of the State of New Mexico. 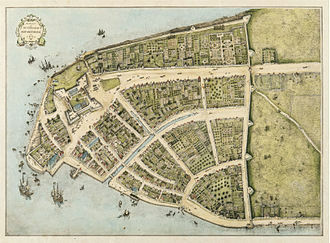 New-York 1625 Capital of the Dutch colony of New Netherland (Novum Belgium). 1664 Capital of the English Province of New York. 1674 Capital of the English Province of New York. Boston (MA) 1688 Capital of the English Dominion of New-England in America. New-York 1689 Capital of the dissident government of New-York. 1691 Capital of the English Province of New York. 1707 Capital of the British Province of New York. 1776 Capitals of the State of New York. New York 1788 Capital of the State of New York. Albany 1797 Capital of the State of New York. Statehood in 1776 San Agustín (FL) 1565 Capital of the Spanish colony of la Florida. Charlestown (SC) 1670 Capital of the English Province of Carolina. 1707 Capital of the British Province of Carolina. New Bern 1712 Capital of the British Province of North Carolina. 1776 Capitals of the State of North Carolina. Yankton (SD) 1861 Capitals of the Territory of Dakota. 1889 Capital of the State of North Dakota. Statehood in 1803 Marietta 1788 Capitals of the Territory Northwest of the River Ohio. 1803 Capitals of the State of Ohio. 1812 Capital of the Territory of Missouri. Tahlequah 1838 Capital of the Cherokee Nation. Tuskahoma 1838 Capital of the Choctaw Nation. Tishomingo 1855 Capital of the Chickasaw Nation. Wewoka 1866 Capital of the Seminole Nation. Okmulgee 1867 Capital of the Creek Nation. Pawhuska ? Capital of the Osage Nation. Guthrie 1889 Capital of the Territory of Oklahoma. 1907 Capitals of the State of Oklahoma. Statehood in 1859 Champoeg 1843 Temporary capital of the disputed Oregon Country. Oregon City 1843 Capital of the Provisional Government of Oregon in the Oregon Country. 1848 Capitals of the Territory of Oregon. 1859 Capital of the State of Oregon. Statehood in 1776 Philadelphia 1682 Capital of the English proprietary Colony of Pennsylvania. 1707 Capital of the British proprietary Colony of Pennsylvania. 1776 Capital of the Commonwealth of Pennsylvania. Lancaster 1799 Capital of the Commonwealth of Pennsylvania. Harrisburg 1812 Capital of the Commonwealth of Pennsylvania. Statehood in 1776 Providence 1636 Capital of the English Colony of Providence 1636–1644. Portsmouth 1639 Capital of the English Colony of Aquidneck Island 1639–1644. 1644 Capital of the English Colony of Rhode Island. Providence 1644 Capital of the English Colony of Rhode Island and Providence Plantations. Providence 1689 Capital of the English Colony of Rhode Island and Providence Plantations. 1707 Capital of the British Colony of Rhode Island and Providence Plantations. five capitals 1776 From 1776 to 1853, the legislature of the State of Rhode Island and Providence Plantations rotated among the county seats of the state's five counties: Providence, Newport, East Greenwich, South Kingstown, and Bristol. joint capitals 1854 From 1854 to 1899, the legislature of the State of Rhode Island and Providence Plantations alternated sessions between Providence and Newport. Providence 1900 Capital of the State of Rhode Island and Providence Plantations. Charlestown 1670 Capital of the English Province of Carolina. 1712 Capital of the British Province of South Carolina. 1776 Capitals of the State of South Carolina. Yankton 1861 Capitals of the Territory of Dakota. Pierre 1889 Capital of the State of South Dakota. Statehood in 1796 New Bern (NC) 1712 Capital of the British Province of North Carolina. 1776 Capital of the State of North Carolina. Rocky Mount 1790 Capitals of the Territory South of the River Ohio. 1796 Capital of the State of Tennessee. Kingston 1807 Capital of the State of Tennessee for one day in 1807 to fulfill treaty obligations with the Cherokee Nation. Knoxville 1807 Capitals of the State of Tennessee. Statehood in 1845 Los Adaes (LA) 1729 Capitals of the Spanish colony of Tejas. Saltillo (COA) 1824 Capitals of the Mexican province of Coahuila y Tejas. Washington (now Washington-on-the-Brazos) 1836 Capitals of the Republic of Texas. 1845 Capital of the State of Texas. Statehood in 1896 Salt Lake City 1849 Capital of the extralegal State of Deseret. Fillmore 1850 Capitals of the Territory of Utah. 1896 Capital of the State of Utah. Statehood in 1791 Westminster 1777 Capitals of the Republic of New Connecticut. 1777 Capital of the Vermont Republic. 1791 Capitals of the State of Vermont. Statehood in 1776 Jamestown 1619 Capitals of the English Colony of Virginia. Richmond 1780 Capital of the Commonwealth of Virginia. Statehood in 1889 Champoeg (OR) 1843 Temporary capital of the disputed Oregon Country. Oregon City (OR) 1843 Capital of the Provisional Government of Oregon in the Oregon Country. Olympia 1853 Capital of the Territory of Washington. 1889 Capital of the State of Washington. Statehood in 1863 Jamestown (VA) 1619 Capitals of the English Colony of Virginia. 1776 Capitals of the Commonwealth of Virginia. Wheeling 1861 Capital of the rival pro-Union government of the Commonwealth of Virginia. 1863 Capitals of the State of West Virginia. Statehood in 1848 Marietta (OH) 1788 Capital of the Territory Northwest of the River Ohio. Kaskaskia (IL) 1809 Capital of the Territory of Illinois. Detroit (MI) 1818 Capital of the Territory of Michigan. Belmont 1836 Capitals of the Territory of Wisconsin. 1848 Capital of the State of Wisconsin. Statehood in 1890 Lewiston (ID) 1863 Capital of the Territory of Idaho. Yankton (SD) 1864 Capital of the Territory of Dakota. Cheyenne 1869 Capital of the Territory of Wyoming. 1890 Capital of the State of Wyoming. ^[a] Even though the urbanized area of Carson City is about 15 miles (24 km) from the California border, the larger Consolidated Municipality of Carson City does form part of the Nevada state border. Similarly, the City and Borough of Juneau extends eastward to British Columbia, although the urbanized area of Juneau is about 35 miles (56 km) from the Canada–US border. ^[c] President James Madison fled to the home of Caleb Bentley in Brookeville, Maryland following the burning of Washington on August 24–25, 1814. As such, the town claims to have been the "U.S. Capital for a Day" despite the fact that Congress never met there. See: "A Brief History". Town of Brookeville, Maryland. 2006. Archived from the original on 2008-12-07. Retrieved 2008-10-07. ^[d] Due to flooding in Sacramento, San Francisco served as a temporary capital from January 24, 1862 to May 15, 1862. See "California's State Capitols 1850–present" (PDF). .
^[e] The District of Columbia was formed February 27, 1801, with the District of Columbia Organic Act of 1801. 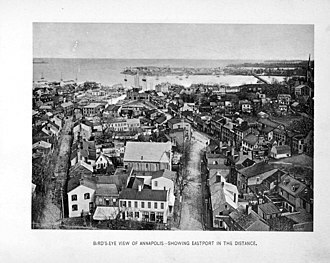 The city of Washington was founded in 1791 and construction of the new capital began while it was still part of Maryland. President John Adams moved to the White House on November 1, 1800 and the 6th United States Congress held its first session in Washington on November 17, 1800. ^ Heiler, Sandra. "U.S. Capital for a Day" (PDF). Town of Brookeville, Maryland. Retrieved May 18, 2018. ^ Burton, Harold H.; Waggaman, Thomas E. (1952). The Story of the Place: Where First and A Streets Formerly Met at What Is Now the Site of the Supreme Court Building. Washington, DC. : Historical Society of Washington. p. 141. JSTOR 40067303. ^ a b Ehle, John (1988). Trail of Tears: The Rise and Fall of the Cherokee Nation. New York: Anchor Books Doubleday. ISBN 0385239548. ^ "Qualla Boundary | NCpedia". www.ncpedia.org. Retrieved 2017-09-18. ^ "Muscogee Creek Nation -Culture/history". Muscogee Creek Nation. ^ "Haudenosaunee Confederacy". www.haudenosauneeconfederacy.com. Retrieved 2017-01-24. ^ Landers, Jane (2010). Atlantic Creoles in the Age of Revolutions. London: Harvard University Press. pp. 102–103. ^ The State of Muskogee, State Flags of Florida, Cultural, Historical and Information Programs, Office of Cultural and Historical Programs website, Florida Department of State, Government of Florida, retrieved October 31, 2007. ^ Capitals of Alabama. Alabama Department of Archives and History. Updated October 29, 2001. Accessed June 9, 2005. ^ a b c d e f g The Spanish name La Florida originally referred to all of the American continent north of Mexico. As other European nations colonized North America, the extent of La Florida shrank to encompass only the Spanish territorial claims in the southeastern portion of the present United States. ^ Frequently Asked Questions About Alaska Archived 2005-06-13 at the Wayback Machine. Statewide Library Electronic Doorway. Updated September 21, 2004. Accessed June 9, 2005; based on Alaska Blue Book 1993–94, 11th ed., Juneau, Department of Education, Division of State Libraries, Archives & Museums. ExploreNorth: The History of Sitka Archived 2005-02-18 at the Wayback Machine. Department of Community and Economic Development, Alaska Community Database Online. Accessed June 9, 2005. ^ Capitals before the Capitol Archived 2005-03-07 at the Wayback Machine. Arizona State Library, Archives and Public Records. Accessed June 9, 2005. ^ Educational Materials: Facts Archived 2005-06-26 at the Wayback Machine. Arkansas Secretary of State. Accessed June 9, 2005. Washington State Park 19th century village in SW Arkansas. Arkansas Department of Parks and Tourism, Confederate Capital Old Division of State Parks. 2003. Accessed June 9, 2005. Whereas, confusion of practice has arisen in the pronunciation of the name of our state and it is deemed important that the true pronunciation should be determined for use in oral official proceedings. And, whereas, the matter has been thoroughly investigated by the State Historical Society and the Eclectic Society of Little Rock, which have agreed upon the correct pronunciation as derived from history, and the early usage of the American immigrants. Be it therefore resolved by both houses of the General Assembly, that the only true pronunciation of the name of the state, in the opinion of this body, is that received by the French from the Native Americans and committed to writing in the French word representing the sound. It should be pronounced in three (3) syllables, with the final "s" silent, the "a" in each syllable with the Italian sound, and the accent on the first and last syllables. The pronunciation with the accent on the second syllable with the sound of "a" in "man" and the sounding of the terminal "s" is an innovation to be discouraged. Citizens of the State of Kansas often pronounce the Arkansas River /ɑːrˈkænzəs/ in a manner similar to the common pronunciation of the name of their state. ^ E. Dotson Wilson (2006). Ebbert, Brian S., ed. California's Legislature (PDF). Sacramento, California: State of California. pp. 157–165. Retrieved 2006-10-03. ^ Early Capitol and Legislative Assembly Locations Colorado State Archives, Colorado State Capitol Virtual Tour. Updated June 20, 2003. Accessed June 9, 2005. ^ From December 3, 1859, to December 3, 1861, Denver City was formally the City of Denver, Auraria, and Highland. ^ On November 15, 1902, the City of Denver became the City and County of Denver. ^ Florida State History. Florida Division of Historical Resources. ^ Chronological History of Idaho. Idaho Office of the Governor. Created 2000. Accessed June 9, 2005. ^ a b c Clarke, S.A. (1905). Pioneer Days of Oregon History. J.K. Gill Company. ^ Past Capitols; based on Illinois Bluebook, 1975–1976. Created March 5, 2005. Accessed June 10, 2005. ^ Sabin, Henry. Making of Iowa, chapter 24: Locating a Capital. Originally published 1900 by A. Flanagan Co. of Chicago and New York; published online by Iowa History Project, posted August 25, 2004. Accessed June 10, 2005. ^ Harding, Eldon. Stories from the Kansas State Capital: Choosing a Capital City--Why Topeka? Archived 2005-03-12 at the Wayback Machine. Kansas State Historical Society. April 2001. Accessed June 10, 2005. ^ Fitzgerald, Daniel (1988). Ghost Towns of Kansas. University Press of Kansas. pp. 61–65. ISBN 0700603689. ^ Kentucky's State Capitols Archived 2006-08-13 at the Wayback Machine. Kentucky Department for Libraries and Archives. Accessed July 24, 2006. ^ Note: The Louisiana Capitals information may be incorrect or incomplete. See "Archived copy". Archived from the original on 2006-06-15. Retrieved 2006-06-28. CS1 maint: Archived copy as title (link) and elsewhere. ^ Students Questions Frequently Ask Archived 2005-03-13 at the Wayback Machine. Maine State Senate. Accessed June 10, 2005. ^ Historical Chronology. Maryland State Archives. Accessed July 24, 2006. ^ Michigan in Brief State of Michigan. Updated March 7, 2005. Accessed June 10, 2005. ^ Saint Paul's 150th birthday Archived 2005-04-11 at the Wayback Machine. City of Saint Paul, Minnesota. Accessed June 9, 2005. ^ Bunn, Mike and Clay Williams, Capitals and Capitols: The Places and Spaces of Mississippi's Seat of Government Archived 2005-05-11 at the Wayback Machine. Mississippi History Now. Mississippi Historical Society Online. Posted September 2003. Accessed June 10, 2005. ^ Lambert, Kirby. Montana's crown jewel of architecture: The Montana state capitol Archived 2011-09-27 at the Wayback Machine Montana: The Magazine of Western History, Montana Historical Society. Summer 2002. Accessed June 10, 2005. ^ Rocha, Guy Nevada State Archives Historical Myth a Month: Myth #28, Las Vegas: Nevada's Next State Capital Archived 2003-08-22 at the Wayback Machine. Updated July 14, 2003. Accessed June 9, 2005; originally published as Sierra Sage, Carson City/Carson Valley, Nevada. May 1998 edition. ^ New Hampshire Senate Page For Kids. New Hampshire General Court. Accessed June 9, 2005. New Hampshire History in Brief. New Hampshire Division of Historical Resources. Created 1989. Accessed June 9, 2005. ^ Oregon Legislative Assembly History. Oregon State Archives. Accessed February 17, 2012. ^ The History of Pennsylvania's Capital. Pennsylvania Department of Education. Accessed July 24, 2006. ^ Capital Cities. Tennessee Encyclopedia of History and Culture. 2002. Accessed March 12, 2006. ^ Early History of Montpelier, Vermont Archived 2005-02-12 at the Wayback Machine. Vermont Historical Society. Accessed June 9, 2005; adapted from Esther Munroe Swift, Vermont Place-Names: Footprints of History, 1977, 1996, and Montpelier Heritage Group, Three Walking Tours of Montpelier, Vt., 1991. ^ About Our Capital Archived 2006-06-25 at the Wayback Machine. Virginia General Assembly. Accessed July 20, 2006. ^ The History of Olympia. City of Olympia. Accessed June 9, 2005. ^ Cravens, Stanley H."Capitals and Capitols in Early Wisconsin" Archived 2006-06-23 at the Wayback Machine. Wisconsin Blue Book Archived 2006-02-09 at the Wayback Machine, 1983–1984 edition. ^ Saban, Mary Thompson, Wyoming Sage: Brief History of Wyoming. Updated January 17, 2004. Accessed June 10, 2005. Las Vegas: Nevada's Next State Capital? Trenton is the capital city of the U. S. state of New Jersey and the county seat of Mercer County. 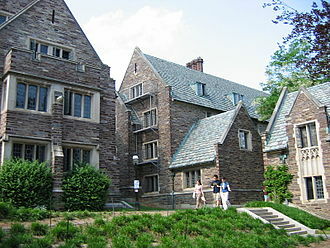 It was briefly the capital of the United States, as of the 2010 United States Census, Trenton had a population of 84,913, making it the states 10th-largest municipality. The Census Bureau estimated that the population was 84,034 in 2014. Trenton dates back at least to June 3,1719, when mention was made of a constable being appointed for Trenton, while the area was still part of Hunterdon County. Boundaries were recorded for Trenton Township as of March 2,1720, a courthouse and jail were constructed in Trenton around 1720, Trenton became New Jerseys capital as of November 25,1790, and the City of Trenton was formed within Trenton Township on November 13,1792. Trenton Township was incorporated as one of New Jerseys initial group of 104 townships by an act of the New Jersey Legislature on February 21,1798, on February 22,1834, portions of Trenton Township were taken to form Ewing Township. The remaining portion of Trenton Township was absorbed by the City of Trenton on April 10,1837, portions of Ewing Township and Hamilton Township were annexed to Trenton on March 23,1900. The first settlement which would become Trenton was established by Quakers in 1679, in the called the Falls of the Delaware, led by Mahlon Stacy from Handsworth, Sheffield. Quakers were being persecuted in England at this time and North America provided an opportunity to exercise their religious freedom, by 1719, the town adopted the name Trent-towne, after William Trent, one of its leading landholders who purchased much of the surrounding land from Stacys family. This name was shortened to Trenton, during the American Revolutionary War, the city was the site of the Battle of Trenton, George Washingtons first military victory. On December 26,1776, Washington and his army, after crossing the icy Delaware River to Trenton, after the war, the Confederation Congress briefly met in Trenton in November and December 1784. Trenton became the capital in 1790, but prior to that year the New Jersey Legislature often met here. The city was incorporated in 1792, during the War of 1812, the United States Armys primary hospital was at a site on Broad Street. Its drafting by a committee appointed by the Second Continental Congress began on July 12,1776, and an approved version was sent to the states for ratification on November 15,1777. The Articles of Confederation came into force on March 1,1781, a guiding principle of the Articles was to preserve the independence and sovereignty of the states. The federal government received only those powers which the colonies had recognized as belonging to king, the Articles formed a war-time confederation of states, with an extremely limited central government. Actually the adoption of the Articles made no change in the federal government. That body was now taken over as the Congress of the Confederation, as the governments weaknesses became apparent, especially after Shays Rebellion, individuals began asking for changes to the Articles. Their hope was to create a national government. Initially, some states met to deal with their trade and economic problems, however, as more states became interested in meeting to change the Articles, a meeting was set in Philadelphia on May 25,1787. 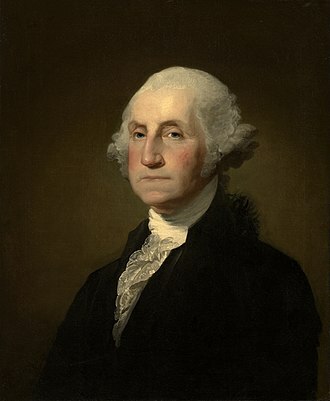 It was quickly realized that changes would not work, and instead the entire Articles needed to be replaced, on March 4,1789, the general government under the Articles was replaced with the federal government under the Constitution. The new Constitution provided for a stronger federal government by establishing a chief executive, courts. The Articles of Confederation would bear some resemblance to it, over the next two decades, some of the basic concepts it addressed would strengthen and others would weaken, particularly the degree of deserved loyalty to the crown. It was an era of constitution writing—most states were busy at the task—and leaders felt the new nation must have a written constitution, during the war, Congress exercised an unprecedented level of political, diplomatic and economic authority. It adopted trade restrictions and maintained an army, issued fiat money, created a military code, to transform themselves from outlaws into a legitimate nation, the colonists needed international recognition for their cause and foreign allies to support it. The monarchies of France and Spain in particular could not be expected to aid those they considered rebels against another legitimate monarch, foreign courts needed to have American grievances laid before them persuasively in a “manifesto” which could reassure them that the Americans would be reliable trading partners. Without such a declaration, Paine concluded, “he custom of all courts is against us, Congress created three overlapping committees to draft the Declaration, a Model Treaty, and the Articles of Confederation. The committee met repeatedly, and chairman John Dickinson presented their results to the Congress on July 12,1776, there were long debates on such issues as sovereignty, the exact powers to be given the confederate government, whether to have a judiciary, and voting procedures. Under the Articles, the states retained sovereignty over all governmental functions not specifically relinquished to the national government, the individual articles set the rules for current and future operations of the United States government. 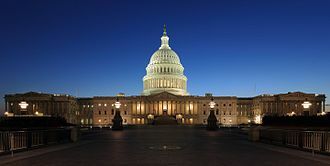 The United States Capitol, often called the Capitol Building or Capitol Hill, is the home of the United States Congress, and the seat of the legislative branch of the U. S. federal government. It sits atop Capitol Hill at the end of the National Mall in Washington. Though not at the center of the Federal District, the Capitol forms the origin point for the Districts street-numbering system. The original building was completed in 1800 and was subsequently expanded, like the principal buildings of the executive and judicial branches, the Capitol is built in a distinctive neoclassical style and has a white exterior. Both its east and west elevations are referred to as fronts, though only the east front was intended for the reception of visitors. In 2014, scaffolding was erected around the dome for a project scheduled to be completed by early 2017. All exterior scaffolding was removed by the end of summer 2016, prior to establishing the nations capital in Washington, D. C. the United States Congress and its predecessors had met in Philadelphia, New York City, and a number of other locations. 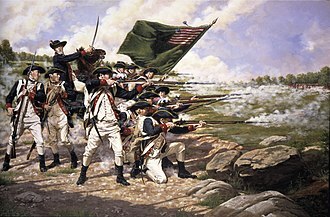 In September 1774, the First Continental Congress brought together delegates from the colonies in Philadelphia, followed by the Second Continental Congress, Congress requested that John Dickinson, the Governor of Pennsylvania, call up the militia to defend Congress from attacks by the protesters. In what became known as the Pennsylvania Mutiny of 1783, Dickinson sympathized with the protesters and refused to remove them from Philadelphia. As a result, Congress was forced to flee to Princeton, New Jersey, on June 21,1783, and met in Annapolis, the United States Congress was established upon ratification of the United States Constitution and formally began on March 4,1789. New York City remained home to Congress until July 1790, when the Residence Act was passed to pave the way for a permanent capital. As part of the legislation, Philadelphia was chosen as a capital for ten years, until the nations capital in Washington. Pierre Charles LEnfant was given the task of creating the city plan for the new capital city, in reviewing LEnfants plan, Thomas Jefferson insisted the legislative building be called the Capitol rather than Congress House. The Maryland State House is located in Annapolis and is the oldest state capitol in continuous legislative use, dating to 1772. It houses the Maryland General Assembly and offices of the Governor, the capitol has the distinction of being topped by the largest wooden dome in the United States constructed without nails. The current building, which was designated a National Historic Landmark in 1960, is the third statehouse on its site, the building is administered by the State House Trust, established in 1969. Construction began in 1772, but was not completed until 1797 due to the ongoing American Revolutionary War, the two-story brick Georgian style structure, located inside State Circle, was designed by Joseph Horatio Anderson, a noted architect of the time. A small portico juts out from the center of the building, topped by a pediment, on both floors, large rectangular windows line the facade. A cornice is topped by pediment and the sloping roof gives way for a central octagonal drum atop which rests a dome. The large dome is topped by a balcony, another octagonal drum. The rod was constructed and grounded according to the specifications of its inventor. The building was surrounded by a low wall in 1818 to prevent cattle incursions. This was replaced by a fence with a granite base in 1836. The dome of the statehouse is depicted on the Maryland state quarter, in the rotunda is the Maryland Federalist – a replica built in 1987 of the miniature ship Federalist. Large Corinthian columns support the arches bracing the dome above. A balustrade lines the second floor balcony, the replica of the Maryland Federalist is actually on a more or less permanent display in the Lobby at the Thurgood Marshall Baltimore Washington International Airport Terminal. Later in the summer of 2012, the handwritten text of George Washingtons Resignation Letter was on display in the rotunda. To the right of the entrance is the old Senate Chamber and desks were added to the room in the exact number as originally furbished. The desk for the president is a piece made by John Shaw in 1797. In local government, a city hall, town hall, civic centre, a guildhall, a Rathaus, or a municipal building, is the chief administrative building of a city, town, or other municipality. It usually houses the city or town council, its associated departments and it usually functions as the base of the mayor of a city, borough, or county / shire. By convention, until the mid 19th-century, a large open chamber formed an integral part of the building housing the council. 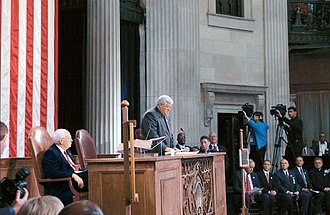 The hall may be used for meetings and other significant events. This large chamber, the hall, has become synonymous with the whole building. The terms council chambers, municipal building or variants may be used locally in preference to town hall if no such large hall is present within the building, the local government may endeavor to use the town hall building to promote and enhance the quality of life of the community. In many cases, town halls serve not only as buildings for government functions and these may include art shows, stage performances and festivals. Modern town halls or civic centres are designed with a great variety and flexibility of purpose in mind. As symbols of government and town halls have distinctive architecture. City hall buildings may serve as icons that symbolize their cities. The term town hall may be a one, often applied without regard to whether the building serves or served a town or a city. 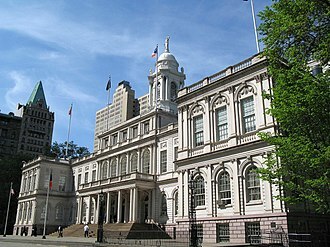 This is generally the case in the United Kingdom, New Zealand, Hong Kong, english-speakers in some regions use the term city hall to designate the council offices of a municipality of city status. This is the case in North America, where a distinction is made between city halls and town halls, and is the case with Brisbane City Hall in Australia. The great hall of the town-house or municipal building, now commonly applied to the whole building city hall. Conversely, cities that have subdivisions with their own councils may have borough halls, in Scotland, local government in larger cities operates from the City Chambers, otherwise the Town House. The United States Capitol rotunda is the central rotunda of the United States Capitol in Washington, D. C. Located below the Capitol dome, it is the tallest part of the Capitol and has described as its symbolic. The rotunda is surrounded by corridors connecting the House of Representatives, to the south of the rotunda is the semi-circular National Statuary Hall, which until 1857 was the House of Representatives chamber. To the northeast of the rotunda is the Old Senate Chamber, used by the Senate until 1859 and by the Supreme Court of the United States until 1935. The rotunda is 96 feet in diameter and rises 48 feet to the top of its walls and 180 feet 3 inches to the canopy of the dome, the dome is surmounted by the American Statue of Freedom. It is used for ceremonial events authorized by concurrent resolution, the doctor and architect William Thornton was the winner of the contest to design the Capitol in 1793. Thornton had first conceived the idea of a central rotunda, due to lack of funds or resources, oft-interrupted construction, and the British attack on Washington during the War of 1812, work on the rotunda did not begin until 1818. The rotunda was designed in the style and was intended to evoke the design of the Pantheon. The sandstone rotunda walls rise 48 feet above the floor, everything above this—the Capitol dome–was designed in 1854 by Thomas U, the fourth Architect of the Capitol. 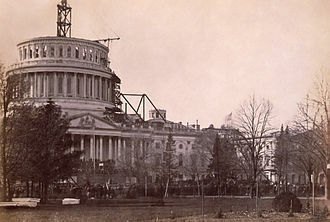 Walter had designed the Capitols north and south extensions, in 1862, Walter asked painter Constantino Brumidi to design a picture 65 feet in diameter, painted in fresco, on the concave canopy over the eye of the New Dome of the U. S. Capitol. At this time, Brumidi may have added a watercolor canopy design over Walters tentative 1859 sketch, the dome was being finished in the middle of the American Civil War and was constructed from fireproof cast iron. During the Civil War, the rotunda was used as a hospital for Union soldiers. The dome was completed in 1866. Originally the crypt had an open ceiling into the rotunda, visitors can still see the holes in the stone circle that marked the rim of the open space in the rotunda floor. In January 2013, the Architect of the Capitol announced a four-year, $10 million project to repair and conserve the Capitol Domes exterior, the dome and rotunda, which were last conserved in 1960, are showing significant signs of rust and disrepair. In 1682, William Penn, an English Quaker, founded the city to serve as capital of the Pennsylvania Colony. Philadelphia was one of the capitals in the Revolutionary War. In the 19th century, Philadelphia became an industrial center. It became a destination for African-Americans in the Great Migration. The areas many universities and colleges make Philadelphia a top international study destination, as the city has evolved into an educational, with a gross domestic product of $388 billion, Philadelphia ranks ninth among world cities and fourth in the nation. Philadelphia is the center of activity in Pennsylvania and is home to seven Fortune 1000 companies. The Philadelphia skyline is growing, with a market of almost 81,900 commercial properties in 2016 including several prominent skyscrapers. The city is known for its arts and rich history, Philadelphia has more outdoor sculptures and murals than any other American city. 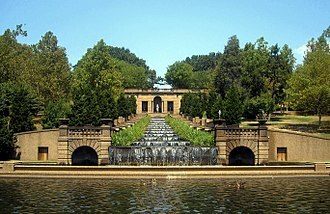 Fairmount Park, when combined with the adjacent Wissahickon Valley Park in the watershed, is one of the largest contiguous urban park areas in the United States. The 67 National Historic Landmarks in the city helped account for the $10 billion generated by tourism, Philadelphia is the only World Heritage City in the United States. Before Europeans arrived, the Philadelphia area was home to the Lenape Indians in the village of Shackamaxon, the Lenape are a Native American tribe and First Nations band government. They are called Delaware Indians and their territory was along the Delaware River watershed, western Long Island. 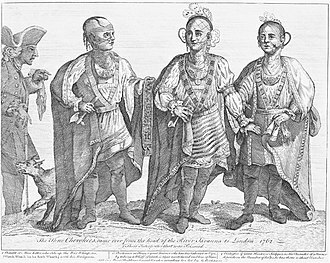 Most Lenape were pushed out of their Delaware homeland during the 18th century by expanding European colonies, Lenape communities were weakened by newly introduced diseases, mainly smallpox, and violent conflict with Europeans. Iroquois people occasionally fought the Lenape, surviving Lenape moved west into the upper Ohio River basin. 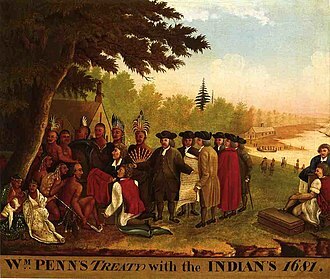 The American Revolutionary War and United States independence pushed them further west, in the 1860s, the United States government sent most Lenape remaining in the eastern United States to the Indian Territory under the Indian removal policy. The President of the United States is the head of state and head of government of the United States. The president directs the executive branch of the government and is the commander-in-chief of the United States Armed Forces. The president is considered to be one of the worlds most powerful political figures, the role includes being the commander-in-chief of the worlds most expensive military with the second largest nuclear arsenal and leading the nation with the largest economy by nominal GDP. The office of President holds significant hard and soft power both in the United States and abroad, Constitution vests the executive power of the United States in the president. The president is empowered to grant federal pardons and reprieves. The president is responsible for dictating the legislative agenda of the party to which the president is a member. The president directs the foreign and domestic policy of the United States, since the office of President was established in 1789, its power has grown substantially, as has the power of the federal government as a whole. However, nine vice presidents have assumed the presidency without having elected to the office. The Twenty-second Amendment prohibits anyone from being elected president for a third term, in all,44 individuals have served 45 presidencies spanning 57 full four-year terms. On January 20,2017, Donald Trump was sworn in as the 45th, in 1776, the Thirteen Colonies, acting through the Second Continental Congress, declared political independence from Great Britain during the American Revolution. The new states, though independent of each other as nation states, desiring to avoid anything that remotely resembled a monarchy, Congress negotiated the Articles of Confederation to establish a weak alliance between the states. Out from under any monarchy, the states assigned some formerly royal prerogatives to Congress, only after all the states agreed to a resolution settling competing western land claims did the Articles take effect on March 1,1781, when Maryland became the final state to ratify them. Benjamin Franklin was one of the Founding Fathers of the United States. Franklin was a polymath and a leading author, political theorist, freemason, scientist, civic activist, statesman. As a scientist, he was a figure in the American Enlightenment. As an inventor, he is known for the rod, bifocals. He facilitated many civic organizations, including Philadelphias fire department and the University of Pennsylvania, Franklin earned the title of The First American for his early and indefatigable campaigning for colonial unity, initially as an author and spokesman in London for several colonies. As the first United States Ambassador to France, he exemplified the emerging American nation, in the words of historian Henry Steele Commager, In a Franklin could be merged the virtues of Puritanism without its defects, the illumination of the Enlightenment without its heat. To Walter Isaacson, this makes Franklin the most accomplished American of his age, Franklin became a successful newspaper editor and printer in Philadelphia, the leading city in the colonies, publishing the Pennsylvania Gazette at the age of 23. He became wealthy publishing this and Poor Richards Almanack, which he authored under the pseudonym Richard Saunders, after 1767, he was associated with the Pennsylvania Chronicle, a newspaper that was known for its revolutionary sentiments and criticisms of the British policies. He pioneered and was first president of The Academy and College of Philadelphia which opened in 1751 and he organized and was the first secretary of the American Philosophical Society and was elected president in 1769. Franklin became a hero in America as an agent for several colonies when he spearheaded an effort in London to have the Parliament of Great Britain repeal the unpopular Stamp Act. An accomplished diplomat, he was widely admired among the French as American minister to Paris and was a figure in the development of positive Franco-American relations. His efforts proved vital for the American Revolution in securing shipments of crucial munitions from France, during the Revolution, he became the first US Postmaster General. 12. History of Washington, D.C. The history of Washington, D. C. is tied to its role as the capital of the United States. 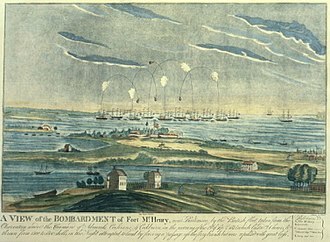 Originally inhabited by an Algonquian-speaking people known as the Nacotchtank, the site of the District of Columbia along the Potomac River was first selected by President George Washington, the city came under attack during the War of 1812 in an episode known as the Burning of Washington. Upon the governments return to the capital, it had to manage reconstruction of public buildings, including the White House. The McMillan Plan of 1901 helped restore and beautify the downtown area, including establishing the National Mall, along with numerous monuments. Unique among cities with a percentage of African Americans, Washington has had a significant black population since the citys creation. As a result, Washington became both a center of African American culture and a center of Civil Rights Movement. 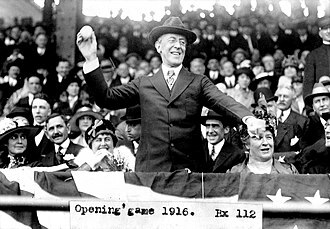 Since the city government was run by the U. S. federal government, black and it was not until the administration of Woodrow Wilson, a southern Democrat who had numerous southerners in his cabinet, that federal offices and workplaces were segregated, starting in 1913. This situation persisted for decades, the city was segregated in certain facilities until the 1950s. Today, D. C. is marked by contrasts, neighborhoods on the eastern periphery of the central city, and east of the Anacostia River tend to be disproportionately lower-income. Following World War II, many whites moved out of the citys central and eastern sections to newer, affordable suburban housing. The assassination of Martin Luther King, Jr. in 1968 sparked major riots in chiefly African American neighborhoods east of Rock Creek Park, large sections of the central city remained blighted for decades. During the early 20th century, the U Street Corridor served as an important center for African American culture in DC, the Washington Metro opened in 1976. A rising economy and gentrification in the late 1990s and early 2000s led to revitalization of many downtown neighborhoods, article One, Section 8, of the United States Constitution places the District under the exclusive legislation of Congress. Delegates converse outside the Stadt Huys during the Albany Congress. Clockwise from top: Downtown from Rensselaer; middle-class housing in the Helderberg neighborhood; Palace Theatre; Empire State Plaza from the Cultural Education Center; North Pearl Street at Columbia Street; and the State Quad at SUNY Albany. The steamer Albany departs for New York City; at the height of steam travel in 1884, more than 1.5 million passengers took the trip. The coureur des bois were French Canadian fur traders, who did business with natives throughout the Mississippi and St. Lawrence watershed. The Cherokee, c. 1762. The Cherokee were subject to diplomatic efforts from the British and French in order to gain their support or neutrality in the event of a conflict. Roland-Michel Barrin de La Galissonière, the Governor of New France sent an expedition in 1749 into the Ohio Country in an attempt to assert French sovereignty. 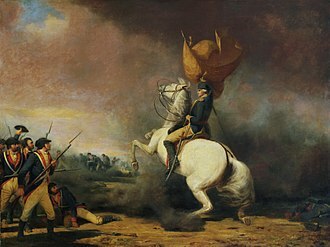 In 1754, George Washington, of the Virginia Regiment, was dispatched to warn the French to leave Virginian territory. Franklin's birthplace site directly across from the Old South Meeting House is commemorated by a bust atop the second floor facade of this building. 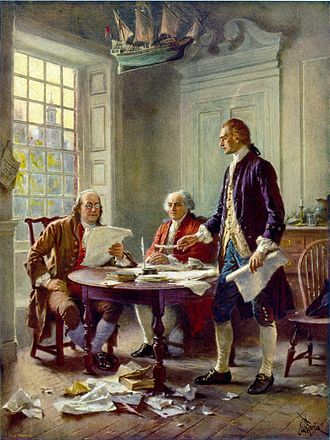 This idealized depiction of (left to right) Franklin, Adams, and Jefferson working on the Declaration was widely reprinted (by Jean Leon Gerome Ferris, 1900). Independence Hall in 1799, with the wooden steeple removed and Thomas Stretch's clock (far left). Row houses and Stehli mills, c. 1941. Photo by Lewis Hine. US Post Office stamp issued in 1956. 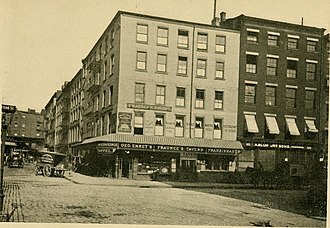 Fraunces Tavern, between the 1890 alteration and the 1900 restoration. Aerial photo of central Washington, D.C.
Boston Public Library Facsimile of manuscript of Peter Charles L'Enfant's 1791 plan for the federal capital city (U.S. Coast and Geodetic Survey, 1887). A contemporary reprint of Samuel Hill's 1792 print of Ellicott's Plan of the City of Washington in the Territory of Columbia, published in Massachusetts Magazine, Boston, May 1792, showing street names, lot numbers, coordinates and legends. The Madison House in February 2006. It was built around 1800 and originally owned by Caleb Bentley. The house provided refuge for President James Madison, on August 26, 1814, after the British burned Washington, D.C., during the War of 1812. The Liberty Bell with Independence Hall as its backdrop. 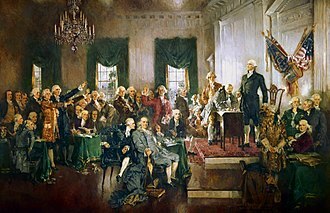 Scene at the Signing of the Constitution of the United States by Howard Chandler Christy.